Today was the return of morning runs outside. After last weeks rough treadmill session plus the fall like weather it seemed like a must. After a few snooze button attacks I woke up 90 which is perfect but my body felt low. The perfect am pre-run blood sugar, I just had to trust myself…and fight every urge to go for some gummies or glucose tablets. I loaded up on some layers – probably too many but I get super cranky in the cold & mixed with pre-coffee crankiness that just didn’t seem smart. Right from the start the run felt good, light and strong – a reminder of what it’s all about. At first runkeeper told me I was running an 8+ minute mile and I thought no way! but I was on a runners high so I just went with it. And than it told me I was busting out 5 minute miles and covering 4 miles. But I just kept the momentum figuring I was either breaking records or giving it my all. It ended up only be 2.5 miles (I was aiming for 3 but it’s been so long that I forgot how far I needed to go to reach it). I could have kept on going but had to get back to shower & get ready for work. I didn’t want to let it ruin the endorphins but it kind of sucked that I came up short from my goal and totally could have killed that last 1/2. Also – this whole trying to figure out strength training thing – I’m feeling it….I still get amazed how sometimes the littlest moves have the biggest impact. Now time to set up something similar for arms. Time for some quick foam rolling and then must.go.to.bed. On another note: another lunch out today! This time with the office bestie. We felt like real midtown-ers. I however didn’t feel so hot after my lunch choices. Do you eat at the office? Do you pack your lunch? Categories: Uncategorized | Tags: Blood sugar, goal, morning run, RunKeeper, running, work | Permalink. 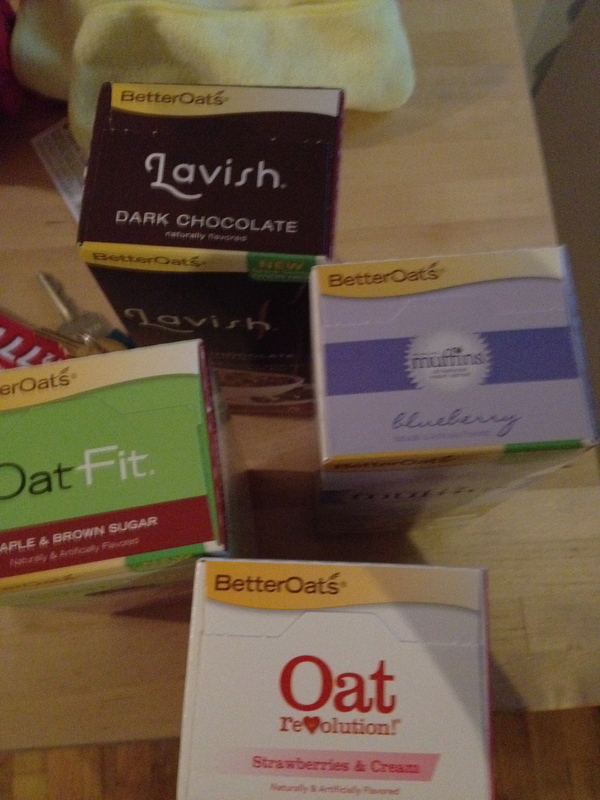 You know how some mock how HLB’s eat oatmeal every day & have 10 million ways to prepare it? Well, I had 3 bowls of oatmeal today. I’m getting into a new pattern with my eating & blood-sugars …unfortunately it has my running low all day. Since I haven’t gone grocery shopping yet & ran out of granola bars my “fixes” were limited to the office stash. Out of Crispix, Shredded Wheat & Quaker Maple Sugar oatmeal I went with the oatmeal. Twice. 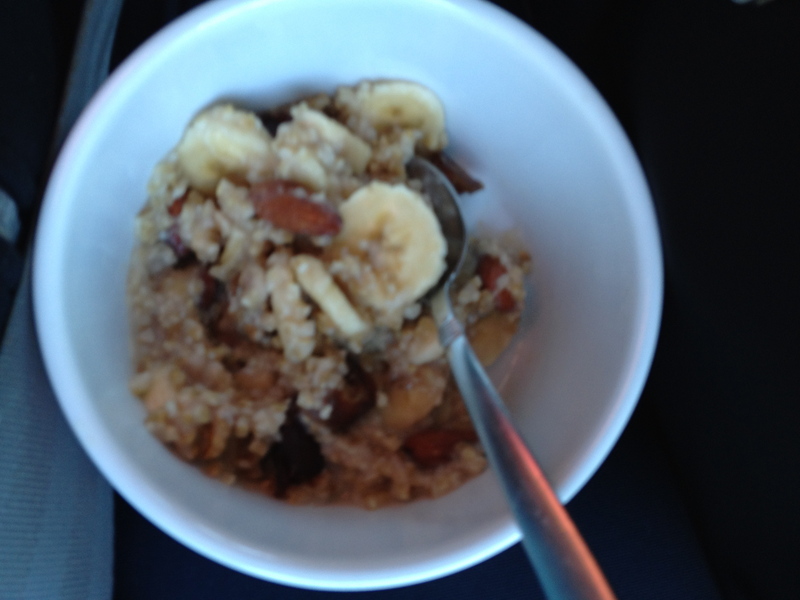 Funny how oatmeal can be the most filling breakfast and yet the easiest thing for me to choke down when forced to eat. Apparently I need to drop my insulin again. On a different note : I got my 3 miles in this morning – at a 11 min/mile pace but given a 2am low (see the trend?) I’ll take it! Are you a big oatmeal eater? Categories: Nutrition | Tags: 1/2 marathon training, Blood sugar, Oatmeal, running | Permalink. Last night I got ::smacked:: in the face with a soccer ball. Not in some cool head-butting-absorb the shock with my body to control the ball sort of way but in full blast too close to tell it’s coming at you…. But it was cool – it took away from the fact I’ve had kink in the other side of my neck since Saturday and wasn’t turning my head to the left anyways. While I didn’t play my best game, our team still kicked it (ha!) and we won! I still haven’t figured out this whole late night game, sort of snack-sort of dinner, a little insulin but not too much, maybe a snack after the game deal. The past two weeks I ran my blood-sugars high, this week I decided to be a little less conservative and aim for a good balance. And than I woke up low. So much for that 3 mile run. This whole blogging thing isn’t going to work if I keep on putting it out there & jinxing myself. (oh that’s just bad – I should go to bed). So lesson: tomorrow I will be cutting back on the long acting insulin. And schedule a doctor’s appointment. And look into a sports nutritionist ? The good news is that I took todays “rest” day as an “icing” day. As I’m currently icing my left knee & right groin and had a heating pack on my shoulder/neck. I really get my money’s worth out of those things. Categories: Uncategorized | Tags: Blood sugar, injury, Soccer, video | Permalink. Dear blood-sugars: this is not how training is going to go. A perfect blood-sugar for a morning workout. Not low but low enough to prevent a nasty spike from activity & lack of insulin. After yesterday’s lackluster start to training I was looking forward to a 3 mile redemption run – my first run for my first training plan for my first 1/2 marathon. Big deal folks. 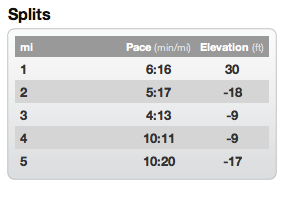 Ok not so much, but I wanted to really push myself for those 3 miles. A treadmill run, my mind over body usually dictates the speed & incline and I set for increasing both every 1/2 mile. Spoiler alert: DNF . #fail. At 1.5 miles when I was just about to bring it up to under a 10 min mile (an old average that has been lurking in the shadows lately) when it started going down hill. By the time I neared 2 miles I knew it was over. It was all I could do to grab my stuff, wipe down the machine (holy sweatiness) and try not to crawl back to the locker room. I couldn’t tell if my blood-sugar was 40 or 400 (more like 140). On machine it was perfect, internally not so much. I had that dizzy/nauseousness thing going on. The diabetes has made me super sensitive to how my body is feeling all my life – but here’s the thing: runners get dizzy & nauseous (not usually at 2 miles at 11/12 minute pace…) – I’m going to have to learn what’s the diabetes & what’s normal / push through it / needs to be addressed differently (looking at you dehydration) running trials. That’s part of this “adventure” – some mega research to do / support team to build. So stellar start right ? Well when I step away from my pity party I realize that there’s going to be sucky days made far suckier by the diabetes. But that’s partly why I’m doing this – for when I can punch those moments in the face with those awesome days & accomplishments. Plus I feel a teeny tiny bit better with the fact that my glutes are feeling yesterdays strength training (I did something right?) and I have soccer tonight, a little unconventional but I’ll pick up that last mile. I currently am completely out of nutbutter (the whole ruined grocery shopping thing yesterday). I know, it’s a miracle I haven’t started having withdrawals yet. Here are 5 reasons to love peanut butter from Yum Sugar – I have a few several more I could add. Categories: Uncategorized | Tags: 1/2 marathon, bad run, Blood sugar, diabetes, running, training | Permalink. I played soccer from 7 – 12 grade and intramural in 5th & 6th. I spent a lot of time on the bench. (it was wet, I went to pull the ball back & I went forward). A friend & old teammate suggested a league she had joined. Last year I couldn’t fit it in with work but with later games this season I decided to go for it. A little nervous of how competitive / all-star filled it would be , my theory was she saw me in my best attempts & struggles so how bad could it be. Plus I could always just be the benchwarmer for the league. wait whatttt??? I have to go alone??? I, but, oh no, awkward. But I couldn’t back out. Plus I’m 25, not going just because a friend wasn’t going – lame. So I went. Slightly petrified. And definitely feeling awkward. But guess what? No major blunders, no injuries & a some fun! So with late games, I thought that definitely ruled out attempts at Wednesday morning gym sessions. It wasn’t the later bedtime that ruined it – a 4am low bloodsugar killed that idea on its own. 5:30 rolled around and 1/2 still feeling woozy & 1/2 sleeping led to a lot of snooze button hitting. It’s going to be a little tricky figuring out how to balance insulin, uncontrolled activity & dinner/no dinner situation. Have you ever joined an adult league ? Any favorite new exercises found on Pinterest? Categories: NYC | Tags: Blood sugar, exercise, new york, Pinterest, planks, snooze button, Soccer, something new | Permalink.